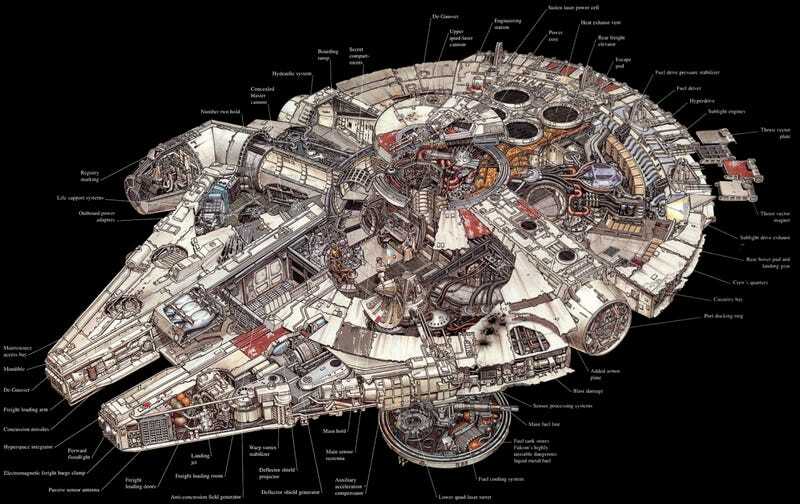 If you have the book Incredible Cross-Sections of Star Wars you already know the amazing work of Hans Jenssen, a genius technical illustrator based in the United Kingdom. His work, done using classic drawing techniques and no computer aid whatsoever, is a pure joy to zoom in and explore. Hans Jenssen is a classic technical illustrator with over 20 years experience based in the United Kingdom. His cutaway illustrations of all types of vehicles from all ages and of all types are simply stunning. You can buy some of these originals here. You can follow his work in his website, Blogger, and DebutArt.